From 19 September until 7 December you can visit Smell of Cerdanyola. Olfactive Perceptions of the colección olorVISUAL at the Museu d’Art de Cerdanyola (MAC) – Can Domènech, an exhibition that encapsulates the history and character of Cerdanyola in four smells, which are in turn associated with four colours and a selection of contemporary artworks from the colección olorVISUAL. 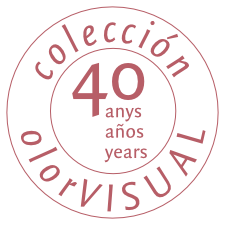 This is the second time that the colección olorVISUAL has dedicated a show to a town in this land of ours, a year after Smell of Cadaqués.